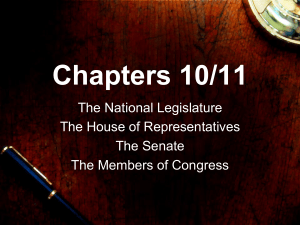 The United States Congress is the bicameral legislature of the federal government of the United States consisting of two houses: the Senate and the House of Representatives. The Congress meets in the Capitol in Washington, D.C. Both senators and representatives are chosen through direct election, though vacancies in the Senate may be filled by a gubernatorial appointment. Members are usually affiliated to the Republican Party or to the Democratic Party, and only rarely to a third-party or as independents. 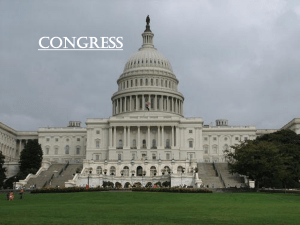 Congress has 535 voting members: 435 Representatives and 100 Senators.The members of the House of Representatives serve two-year terms representing the people of a single constituency, known as a ""district"". Congressional districts are apportioned to states by population using the United States Census results, provided that each state has at least one congressional representative. Each state, regardless of population or size, has two senators. Currently, there are 100 senators representing the 50 states. Each senator is elected at-large in his or her state for a six-year term, with terms staggered, so every two years approximately one-third of the Senate is up for election.